Home > liens&tips > Need to caclulate 120 days from date of last furnishing for a notice of lien? Need to caclulate 120 days from date of last furnishing for a notice of lien? As anyone who has had the misfortune of sitting through the North Carolina General Contractor’s exam can tell you, there are two very important deadlines to keep in mind if you are not getting paid on a project– 120 days and 180 days. These are dates associated with filing a Notice of Claim of Lien on Real Property and Notice of Claim of Lien upon Funds, and the date associated with perfecting a Claim of Lien with a Complaint. Once these dates have passed, you may still sue to collect unpaid fees, but your statutory lien rights are lost (and with them, your most likely chance to get attorney fees). There is no room for error here. One good site to bookmark is this online Date Calculator. Use it to plug in the date of last furnishing to determine your notice and complaint deadlines. For future reference, I have added a permanent link to this calculator to the “Resources” page. If you need to know the basic notice and filing requirements of lien laws in other states, check out this article which details mechanic lien law information in all 50 states. 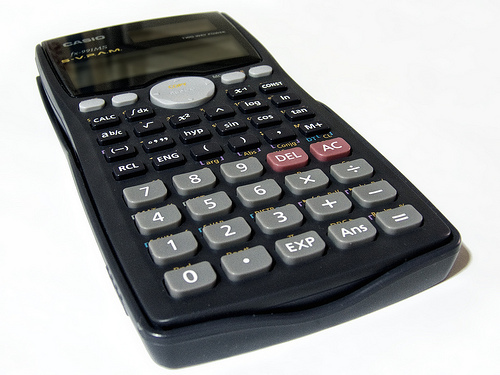 Photo “ASIO fx-991MS SCIENTIFIC CALCULATOR” by Andres Rueda via Flickr and made available via an Attribution-Noncommercial-ShareAlike 2.0 License. « Green Design—is it for the cache or the environment? I have an notarized Contractors, Subcontractor, Laborers, and/or materialsmans lien waiver from the general contractor stating that all parties have been paid when we closed on our home. Roughly 90 days later I have had 2 subcontractor send notice that they were placing a lien on my home for $1,456 and $1,963. What is my best course of action, I have called each of the sub-contractor and indicated that I have a lien wavier from the General contractor who sub-contracted the work out. Should I send a copy of this via certified letter? What’s my recourse for an improperly filed lien, specifically well beyond the 120 days. If the date for filing a lien is past, the contractor can still bring a lawsuit for breach of contract so long as the 3 year statute of limitations has not expired. If you are the owner on a project where a lien was wrongly filed, if it does not get perfected by 180 days then it is the same as if it never existed as far as the title goes. Thanks Scott for that link. Looks like a good resource. Thanks for linking to our 50-state lien law resource at JDSupra.